I love the dark mysterious world of the Abhorsen Trilogy. Beautifully written. This is an amazing book! A page turner for sure. 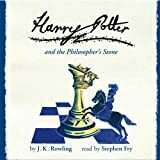 Excelent story, but how is this in best audiobooks? The audio-quality at least on audible is absolutely horrible. It is like 8kbit upscaled. It sounds like 1930s tube-radio.